● You can try a live demo of SpoofCard for free before purchasing credits. ● SpoofCard periodically offers 10% off your purchase of credits with an offer code. ● Check out the blog for information on updates to SpoofCard technology or tips on how to best use your product. ● Generally, promotions and coupons are few for SpoofCard. Spoofcard is a unique concept. 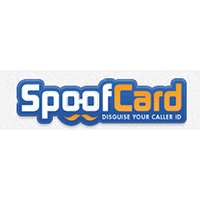 You can use Spoofcard to disguise your voice, disguise your caller ID, add sounds, record phone calls, and much more. The range of services available through Spoofcard can be used in two different ways. You can use this concept to protect yourself from unwanted calls and unwarranted harassment. However, by the same token, you can also use this concept as a way to prank friends and family. It is also worth noting that group spoofing is available through this company, in addition to a range of mobile apps. Those who are curious about whether or not this service is right for them can try a live demo. For most up to date offers check out Spoof Card on Facebook and Twitter or contact Spoof Card Support for any questions.